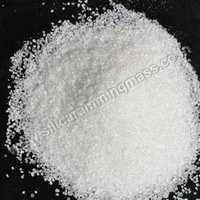 Magnesite Ramming Mass is ideally used for ramming of the Electric Arc Furnaces. This is available with high level of purity and excellence to provide the best option to furnace of different capacities. It is also a perfect repairing material having swift thermosetting properties. This is also ideal for Ultra High Power (UHP) as well as EBT (Eccentric Bottom Tapping) Furnaces. This is available with high grade ingredients with high level of purity without any adulteration to provide unmatched performance. This can be availed in different packaging options to provide the clients with the complete satisfaction. It is widely used as cement in the domain of refractory bricks. This is ideal for ensuring smooth working of the furnaces with maximum output and high thermal stability. Corrosion resistance with wear resistance features make it ideal for chemical, steel and copper refineries.